Our BETA Program will be launching soon. Register below. If you're suffering from persistent back pain, and you've tried all the traditional treatments, our 30-Day Program may be for you. In just 30 minutes a day, our team of Mind-Body Masters will help you understand the core cause of your pain, and how to take back control of your health. Our program is 100% non-invasive -- NO DRUGS, NO DEVICES, NO SURGERY. After a friend suggested that I look into the connection between stress and pain, I read everything I could find on the subject and visited with the experts. I became determined to get on the path to healing and put together my own mind-body program. While I still have flare-ups (everyone does!) I do pretty much whatever I want physically and my back is strong. Now I want to share what I've learned with you. I've assembled a team of "Mind-Body Masters" from the fields of medicine, psychology, physical therapy and meditation, and we've created a break-through program to guide you step-by-step to overcoming your pain. I'm confident that this program will work for you, but if for any reason it doesn't, we'll refund 100% of your money, no questions asked. You have nothing to lose but your pain. You're a Type-A personality: You know who you are! Our team of experts have successfully treated thousands of people suffering from stress-related pain. They span the fields of medicine, psychology, meditation, and physical therapy. Our 30-Day Program includes 30 instructional videos featuring our Mind-Body Masters, and a collection of powerful self-healing techniques. David D. Clarke, MD, is President of the Psychophysiologic Disorders Association, and is the author of the book They Can't Find Anything WRONG! -- his powerful treatise on the causes and cures of stress illness. He is also Assistant Director at the Center for Ethics and Clinical Assistant Professor of Gastroenterology Emeritus both at Oregon Health & Science University (OHSU) in Portland, Oregon. He is Associate Faculty at Arizona State University, Clinical Advisor to the Stress Illness Recovery Practitioners Association (U.K.) and a Clinical Lecturer with Pacific University in Oregon. His website can be found at stressillness.com. 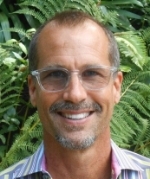 Rick Scott PhD, is a psychologist and meditation expert who has counseled thousands of families, couples, individuals and corporate executives. He is the creator of The Button Theory -- A process to grow beyond conditioned pain, to evolve in more conscious ways, and to live a more truthful and successful life. Scott created Human Systems Consulting and co-founded Partnership Doctors with Jody Yeary, PhD. He received an M.Ed./Ed.S. in counseling from the University of Florida and a Ph.D. in Marriage and Family Therapy at the University of Georgia. Elaine Williams, MA, HLC3, RScP, is a Certified Holistic Exercise, Nutrition & Lifestyle Coach (Level 3) through the CHEK Institute. 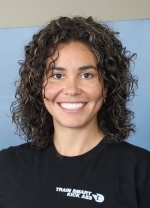 She received her Master’s degree at USF, and is a Licensed Practitioner in Science of Mind. Elaine grew up in sports & overcame degenerative discs and herniated & bulging discs diagnosed at age 19 while playing college basketball. After being told that she would need back surgery, Elaine stayed determined to heal without surgery, which became an 11 year journey of holistic health & fitness. Recurring episodes of back pain were the catalyst for her learning healing techniques in mental, emotional, physical, and spiritual modalities. Elaine's success in her own healing has led to a thriving personal training and holistic lifestyle coaching business helping thousands of adults eliminate or manage chronic pain through evidence based exercise & health education programs. Elaine owns “Workout on the Hill”, an outdoor exercise company, and works at DIAKADI Body in San Francisco. People suffering from persistent back pain often spend thousands and thousands of dollars but get no relief. Whether it's chiropractic, or acupuncture, or physical therapy, or huge quantities of anti-inflammatories, or injections (let alone surgery!) -- the list goes on and on -- these treatments are expensive and treat only the symptoms but not the core cause of many people's back pain. That's because the core cause of pain, what we call the Emotion-Stress Response (about which you will learn in our MindOver 30-Day Program) is not detectable by scans or other traditional diagnostic tests. By contrast, for $49 (a steep discount to the launch price of the program) you get to spend 30 days hearing from our Mind-Body Masters about how to uncover the causes of your stress, and to learn a range of powerful techniques to activate your parasympathetic nervous system (otherwise known as "rest and digest") and speed your path to healing. Our unique program design: The three "A's"
We've designed our program with a holistic philosophy in mind. We call the three phases of the program the "Three A's". If you can commit just 30 minutes a day (stop watching iTunes!) you'll be on the path to healing your persistent back pain. Acceptance: You’ll learn the real facts about back pain, and what we call the Emotion-Stress Response. You’ll learn about why your personality is prone to pain, and hear from our mind-body masters about people like you and me who have experienced and overcome back pain. Awareness: You’ll understand the patterns and causes your own Emotion-Stress Response – and how this cycle affects your brain and body. You’ll learn powerful daily practices to boost your self-awareness and self-compassion. Activation: You’ll be armed with the emotional took-kit to get on the path to healing. You’ll learn to short-circuit the Emotion-Stress Response, increase your physical and emotional reserves, and begin to get physically active again. Each day of the program features a video from our Mind-Body Masters, guided journaling practices, and a wide-range of healing techniques. And you can revisit any day of the program as much as you like. Plus -- all our key videos and healing techniques are easily accessible. And ... the program is "mobile friendly".